Which would a woodlouse prefer? Woodlice are small crustaceans that live on land. They look like bugs, but are actually more closely related to crabs and lobsters! Photo credit Liz Henwood. Woodlice are small crustaceans that live on land. They look like bugs, but are actually more closely related to crabs and lobsters. To escape predators they hide in dark places. They spend most of their time underground and have very poor eyesight. One day, when digging around in the dark dirt of her compost pile, Nora noticed that there were many, many woodlice hiding together. This made her wonder how woodlice decide where to live. Because woodlice have very simple eyesight, Nora thought that maybe they use dark and light colors to decide where to go. They might choose to move towards darker colors and away from lighter colors to prevent ending up above ground where predators can easily find them. Nora collecting woodlice from the compost pile. Nora, along with classmates in her ecology class at Michigan State University, decided to run an experiment to study woodlice behavior. She collected 10 woodlice from her compost pile and placed them in a jar. She brought the jar into the lab. Then she chose a set of trays to work with from what she had in the lab – white, with tall sides. The sides of the tray were tall and smooth so the woodlice were not able to climb out. On one end of the tray Nora put some dark soil, and on the other side she put lighter leaves. 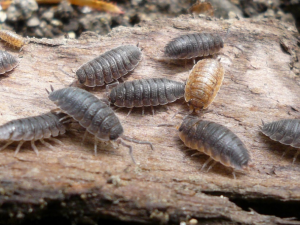 If her hypothesis was correct, Nora predicted that woodlice would more often choose to move towards the dark soil habitat, compared to the lighter leaves habitat. 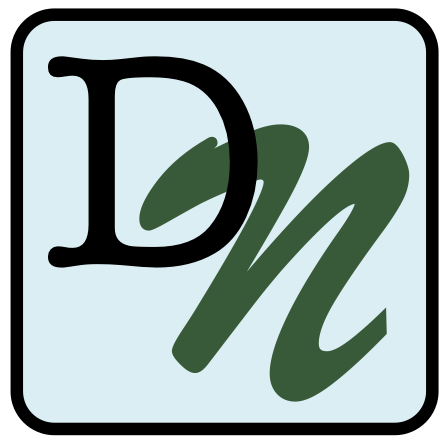 For each trial, Nora gently picked up a single woodlouse with forceps. She then placed it in the center of the tray. All the woodlice were positioned so they started facing the top of the tray, not at either habitat type. The woodlice then chose to move towards one end of the tray or the other. When they reached one of the piles the students recorded which habitat they chose. It was then picked up with forceps. Nora and her classmates recorded its length and placed it in a new jar so it could be released back into the compost pile once the experiment was done. The tray where the preference trials were conducted. 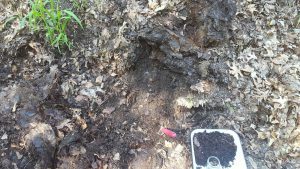 To the right of the tray is the soil pile, and to the left is the leaf pile. The center was purposefully left empty and wiped down before each run. After running this experiment and looking at the data, Nora realized it did not work. The small sample size of only 10 individuals was not enough to see a pattern. Also, she realized that after one woodlouse went a certain way, all the others would follow it, maybe because they were following a scent trail. She decided she had to do the experiment again, this time with more woodlice and in a way that would prevent them following each other’s scent trails. For her second try, Nora collected 51 woodlice from a different compost pile. 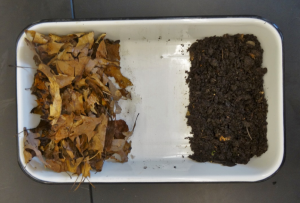 Just like the first experiment, Nora placed lighter leaves on one end of a white tray and dark soil on the other. All the methods were the same, except for a few important changes. To get rid of scent trails, this time Nora wiped down the middle of the tray with a clean wet paper towel between trials. She also added equal amounts of water to both habitats to control for humidity. This ensured that if woodlice did show a preference for either habitat it would be due to habitat color, not humidity. This time Nora used a stopwatch and recorded how long it took for an individual to choose one of the two habitats. PowerPoint slideshow of images of woodlice and Nora’s experiment. About Nora: Nora is currently an undergraduate getting her B.S. in Zoology with a concentration in Zoo and Aquarium as well as a minor in Marine Ecosystem Management from Michigan State University. Although aquatic life is her main interest, she think it’s important to appreciate other animal groups and take a break to play and explore the nature around you. 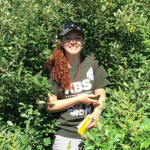 That curiosity was how she was able to volunteer in labs on campus from entomology to genetics, and how she came to spend a summer at the Kellogg Biological Station in Michigan.